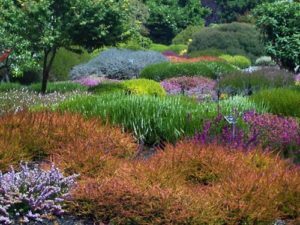 In the cool, dark days of late fall and early winter, the garden can tend toward the drab. 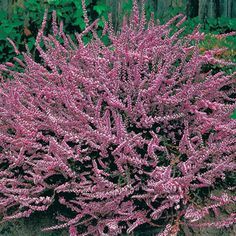 Fall and winter-flowering heather, Calluna vulgaris, can be counted on to remedy this situation with artistic flair, and we’ve just gotten in an impressive new crop that includes many rare varieties. 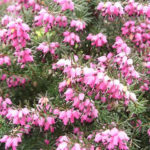 Heather flowers may be pink, rose to red, light purple, lilac, lavender, orchid and shades in between. Most flower for several months – all the better for butterflies, bees and other important pollinators who find its nectar irresistible. Heather’s crowded, tiny scale-like leaves come in pale and deeper greens, chartreuse, yellow, gray or russet. As colors change or intensify in winter, they can deliver as much visual impact as the flowers they produce. These easy to grow, versatile plants with spreading or upright forms are useful as ground covers, in rockeries and in conifer beds for a stunning winter display. The flowers can also be brought inside for small-scale winter arrangements. 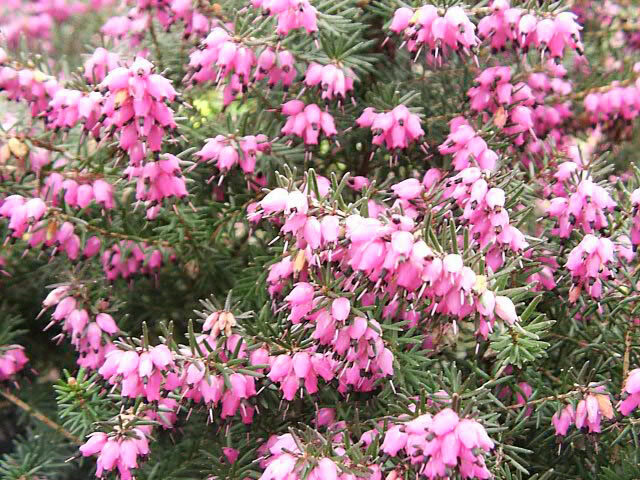 For bright splashes of color in the winter garden it’s hard to beat winter-flowering heather. With many just coming into bloom and our stock plentiful, now is a great time to select your plants. Come see us today!